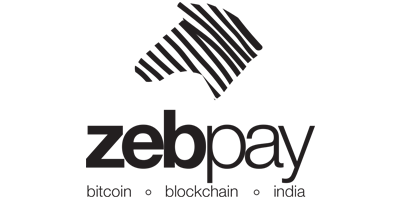 Zebpay is India’s biggest digital asset exchange. Users can buy / sell bitcoins using Zebpay app available on Android and iPhone. Zebpay is the first in the industry to launch bitcoin wallet app that enables bitcoin transactions using mobile number without any complexities to understand bitcoin addresses, taking backups or fear of losing bitcoins for non tech savvy users. In just a year, Zebpay app has clocked 130,000 downloads. Zebpay users use the app to buy, sell, store and spend bitcoins. Around 20,000+ new users were added just last month. Zebpay is on target to touch a turnover of Rs 1000 crores and add 2.50 lakh users to its app in the current financial year. After early adopters, Bitcoins is attracting a new class of users like young professionals and HNIs. Users are now using bitcoin as an alternative investment. They are also using it for online shopping, airtime top up, paying bills and buying gift vouchers. We believe India will see an explosion of digital assets like bitcoins in next 2 years. Zebpay is on a mission to spread digital assets and bitcoins in India, believing it has potential to bring technological disruption in financial infrastructure. In a span of one year, Zebpay has emerged as the biggest bitcoin company in India. The number of transactions surpassed 125,000 in September 2016 and total turnover crosses Rs 400 crores. And Indians topped up airtime and purchased vouchers with bitcoins worth Rs 2 crores in total using Zebpay app. Zebpay app is rated 4.3 stars on the Android store. Zebpay has an aggressive growth target for the coming months. We are focused on building the safest and simplest digital asset experience for Indians. We are focused on abstracting the technology behind this revolutionary technology. We believe bitcoins shall disrupt remittance market. 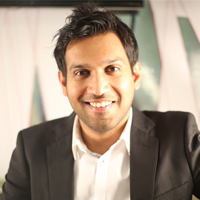 In January, Zebpay successfully raised $1 million in pre series A funding round from angel investors. Zebpay was also voted as number 1 new bitcoin company at CoinAgenda 2014, Las Vegas. Bitcoin is just the first step in the new ‘digital asset’ revolution. We aim to be India’s leading digital asset company.